To measure the hard work you put in, there are things like awards were jury judges you with the way the you are providing services. Many start up firms were nominated and are leading in the field of Telecommunications, Mobile, Software, BigData/Storage, Internet/Online, Social Media, Cloud Computing. The Red Herring editorial team and jury evaluated the companies on both quantitative and qualitative criteria, such as financial performance, technological innovation, management quality, and overall business strategy and market penetration. This assessment was complemented by a review of the track records and standings of similar startups in the same verticals, allowing Red Herring to see past the “buzz” and make the list a valuable instrument of discovery and advocacy for the most promising new business models in Asia. Related Post: Rolex Awards for Enterprise finds Indian young Laureate. Many Indian startups has been nominated and has won the award. The way telecom industry is developing in India, companies are open to show up its presence in the industry. mCarbon is one of the Indian startups who managed to beat the competition and won the award in the field of telecommunication. mCarbon provides to Value added services to most of the telecom majors in India. 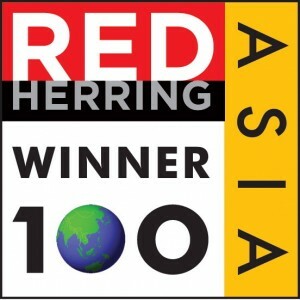 There are many other companies who have won Red Herring 2013 Asia Award. Please check the list of Indian companies who have won Red Herring Asia Award 2013. You can also view the list of the 2013 Red Herring Asia Top 100 Winners.